In 2011, the EDC brought a CT7 engine on-site and began doing line maintenance trainings to bring employees closer to the hardware. 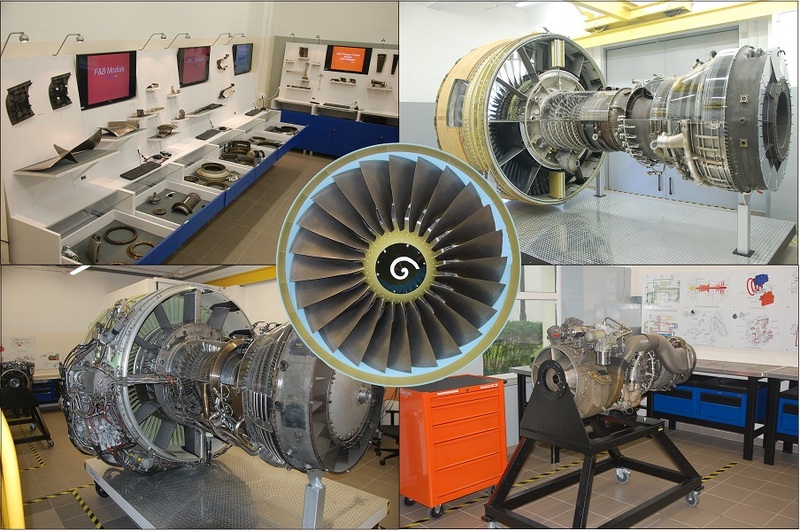 Over the last two years, the engine base has been expanded, with a new exposition featuring the CFM56-7 and CF6-80C2 engines, and is now called the Engine Training Laboratory. Recently, cut-sectioned engine parts from each module were added that are helpful for learning about engine architecture and design. There are also interactive screens which feature presentations that are related to engine design, manufacturing and maintenance of each of engine module. The Engine Training Laboratory has been arranged as a learning center for theoretical and practical trainings. It is also intended to meet any other needs that will be raised by EDC engineers. Training instructors will be on duty once a week to enable access to the laboratory by individuals. Module hardware exposition was created by trainees from each module. Young engineers worked very hard during the last few months preparing the most interesting and worthwhile parts of the engine to be displayed. All static parts were accompanied by movies and presentations about how each module works and how parts are being manufactured.